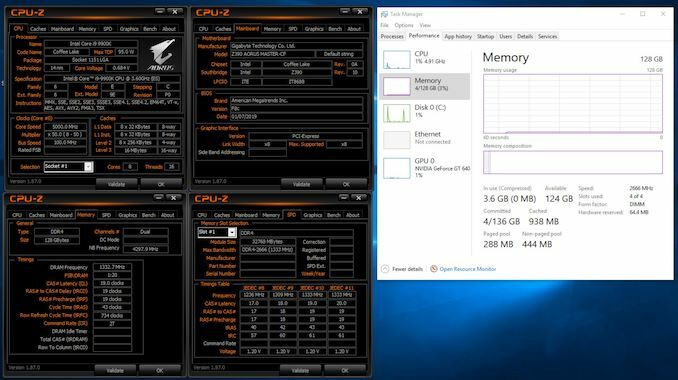 GIGABYTE has released UEFI BIOS updates for its motherboards based on Intel’s C246 and Z390 chipsets that enable support for 32 GB unbuffered memory modules from Samsung. This enables 128 GB of DDR4 on its higher-end mainstream desktop platforms. The compatibile UDIMMs are based on Samsung’s 16 Gb memory chips and are expected to be available in the market shortly. To date, GIGABYTE has validated 32 GB DDR4-2667 CL19 UDIMMs only with its Intel C246 and Z390-powered platforms, which is logical as owners of such motherboards are more likely to need 128 GB of memory and buy the modules. It also remains to be seen when and if support for such modules will come to other platforms. Intel recently updated its memory reference code (MRC) for the 9th Gen Core processors that enables the said CPUs to work with unbuffered memory modules that use 16 Gb memory chips. Previously, only Intel’s HEDT and workstation processors could work with 32 GB RDIMM modules based on 8 Gb DRAM devices, whereas support for 16 Gb chips is still limited to select platforms. From now on, Intel C246 and Z390-based motherboards from GIGABYTE will work with UDIMMs featuring Samsung’s 16 Gb. 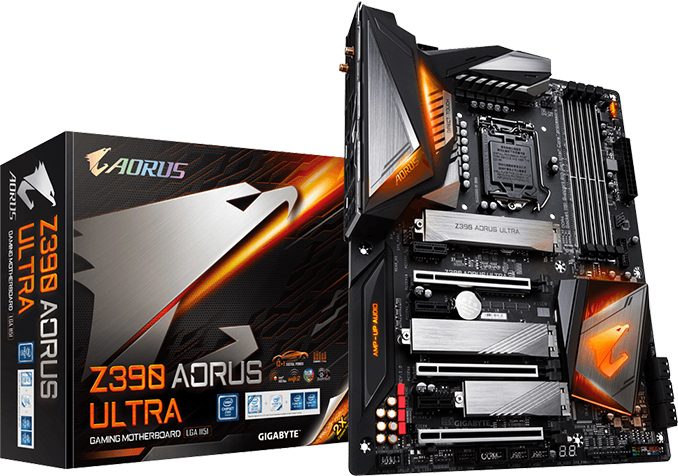 Earlier, ASUS enabled its Z390-powered mainboards to work with the said modules. In the coming weeks other makers of motherboards will also update their UEFI BIOSes with new MRCs, so UDIMMs based on 16 Gb chips will be supported more widely. Samsung started mass production of 16 Gb DDR4 memory chips last year initially targeting high-capacity RDIMMs for servers. These DRAMs eventually came down to consumer grade memory too, enabling for 32 GB UDIMMs to be added to Samsung's product family available primarily to OEMs. At present, such modules are still rare in retail, but over time they will be available more widely and enthusiasts who for whatever reasons need 128 GB of memory will be able to take advantage of them.